The Cult of the Undead is at it again, doing their best to keep you from fulfilling what you think is your destiny. They're protecting a treasure you need to get your hands on, you see: a gun that can kill the past. (Time traveling bullets?) It's the only way you can be at peace with your past wrongdoings, so those shockingly bullet-like cultists will just have to mosey on out of your way. Or get shot, like, all the times. When entering said gungeon, you now get to bring a friend. The recently announced co-op campaign lets two local players put their guns together for more shooting and more cult-revenging than when flying solo. Now just one question remains: who gets to use the time traveling bullet gun at the end? Or are there, like, two or something in co-op? 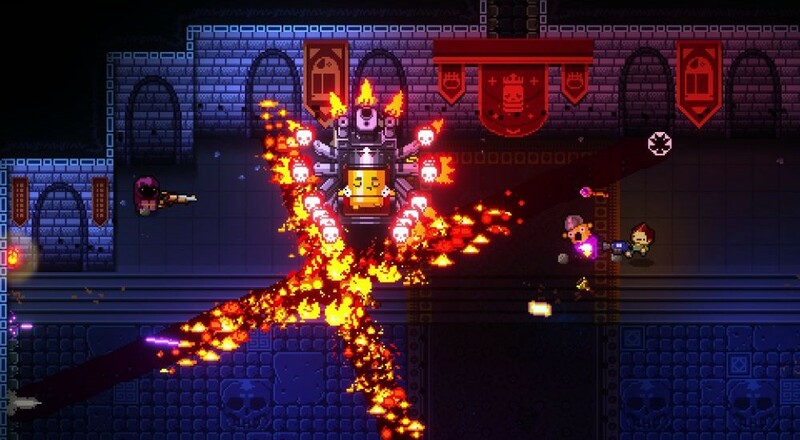 Enter the Gungeon is currently scheduled for a release in 2016. Watch for it on PC via Steam and PS4. Page created in 0.4894 seconds.